After a stint as a news editor for Photonics.com, I stepped into the role of Photonics Spectra editor early this year. With big shoes to fill, I jumped into the job with both feet, bringing more than 15 years of media experience with me. The photonics industry lights up the world, quite literally, and I’m thrilled to be so close to the action. 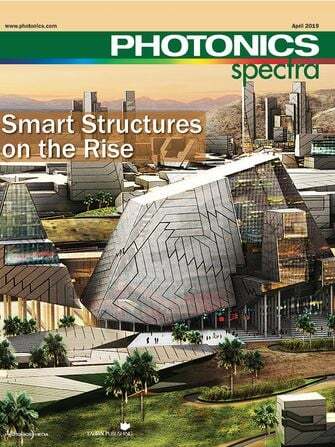 I relish the opportunity to maintain Photonics Spectra’s reputation as a leading industry publication, and to fill it with industry news and research on a broad range of topics that you’ve come to expect, all selected to help you do your job. So, my new friends, onward and upward! In our cover story, “Displays You Wear,” beginning on page 36, contributing editor Hank Hogan discusses advances being made in the development of augmented reality and wearable devices amid three notable challenges: system cost for consumer devices, best materials to fit various devices, and how to put these displays to use. • “Design Considerations for Aspheric Lenses,” by Jeremy Govier, Edmund Optics, beginning on page 58. Oh, and I’ll still see you on Light Matters, Photonics Media’s weekly newscast, which you can find on the home page at Photonics.com.